Steve Boone aka John S. Boone and John Stephen Boone. Steve Boone is my professional name. Quick description: Steve Boone’s memoir comprises two nearly separate lives in one book with his role as a founding member of the Rock Hall of Fame band The Lovin” Spoonful as he charts it’s way from conception to now 50 years later, and his other life as a high seas pot smuggler with the drama of sinking boats and eluding Coast Guard interceptors. Steve was born into the U.S. Marine Corps at Camp Lejeune, N.C., just as WW II was turning in the allies’ favor in the Pacific. 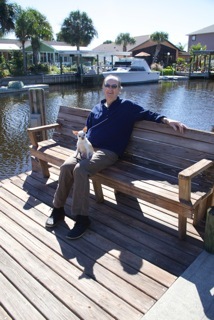 His dad’s life in the hotel business took him from the Pocono Mts of eastern Pennsylvania to the Atlantic coasts of Florida and Long Island, N.Y.. Sailing and sports with a future in The Marine Corps was abruptly ended by a terrible auto crash in 1960, but the fortunate gift of a guitar from his mom while recovering led to a chance meeting of two similar travelers on life’s highway, and The Lovin’ Spoonful was born. Three intense years and 10 top 20 hits later became all the life of a rock and roller he needed, so buying a 56’ sailboat in the US Virgin Islands became his get-away – a return to what he hoped would be sanity of sorts that the music business had nearly driven out of him. Life on the high seas had its ups and downs and Steve sailed on to fantastic adventures and excitement that met if not exceeded the level of life as a rock star. 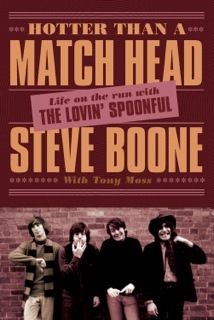 40 some years after the Lovin’ Spoonful’s demise, a fortuitous meeting with Tony Moss led to the writing of this book which Steve feels finally tells all about what caused the Spoonful’s career to abruptly end and aided in Steve’s journey back to a life more easily managed and maintained! Paperback may be purchased from Major Bookstores across Canada and the US. Steve is working out the logistics for a book and music tour in the US and Canada with his friend, musician and fellow Lovin’ Spoonful bandmate, Jerry Yester, who has recently published a book, as well. Also, The Lovin’ Spoonful has recently announced a 50th Anniversary Tour that will begin in the spring of 2015.